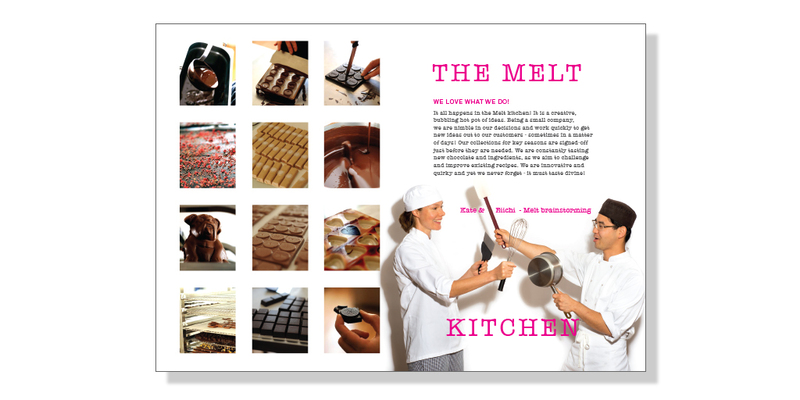 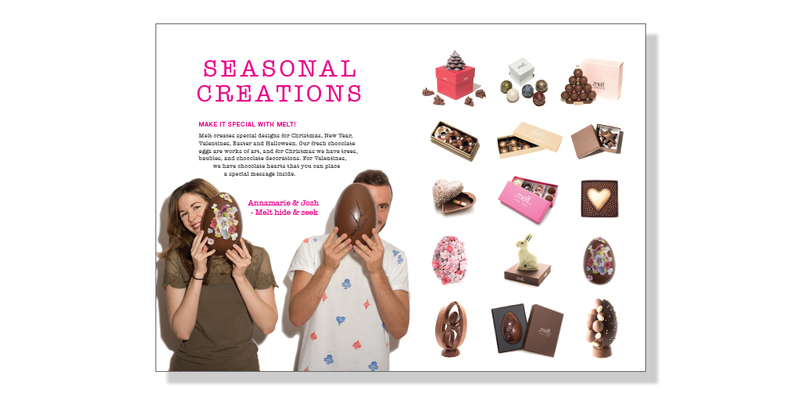 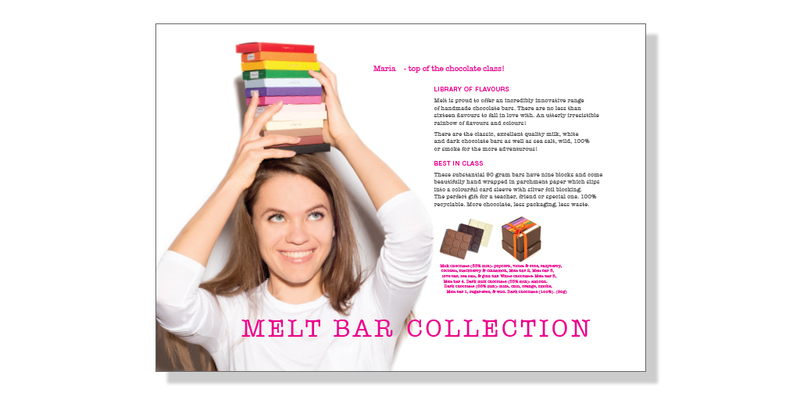 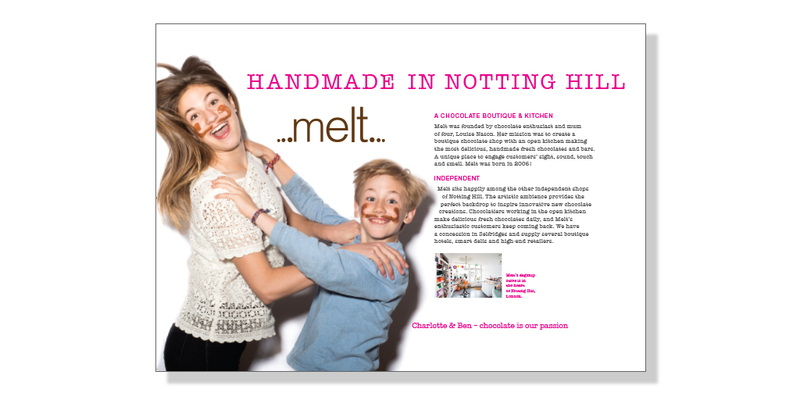 Melt Chocolate is a hand-made chocolate company based in London’s Notting Hill. 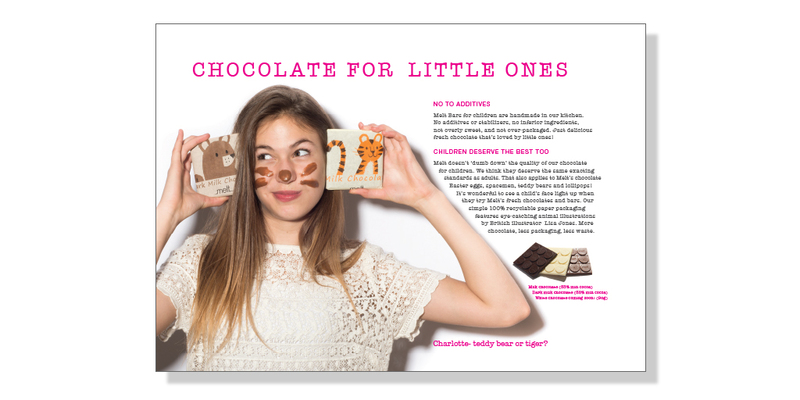 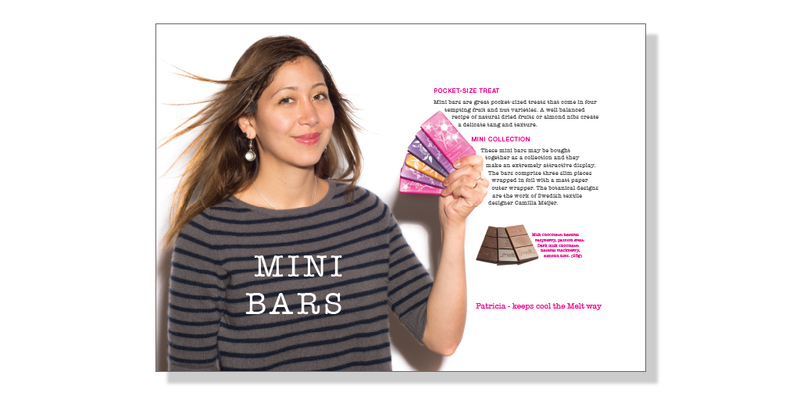 Founder Louise Nason produces a truly mouth-watering range of products which she markets online, through her shop and through various retail channels including a concession in Selfridges department store in London. 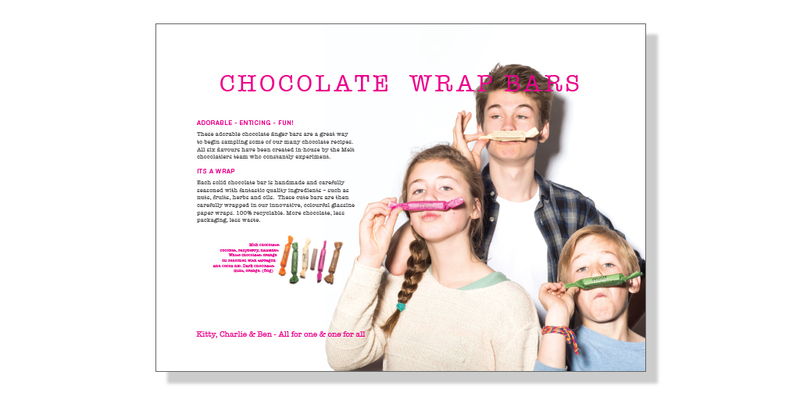 This print brochure was the brainwave of Louise, and uses her children as models, all photographed by James Bedford. 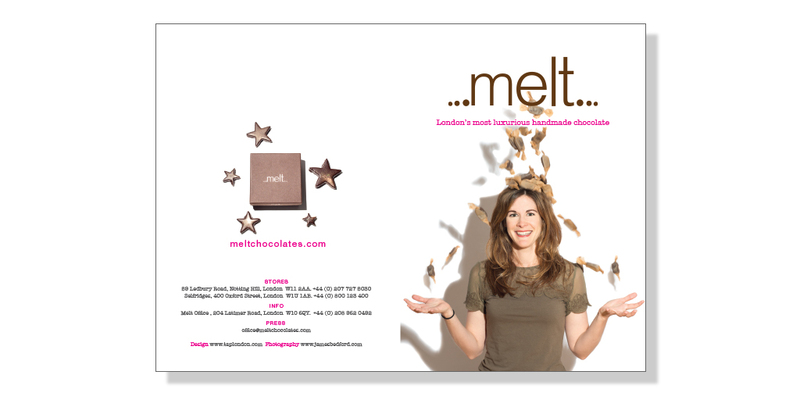 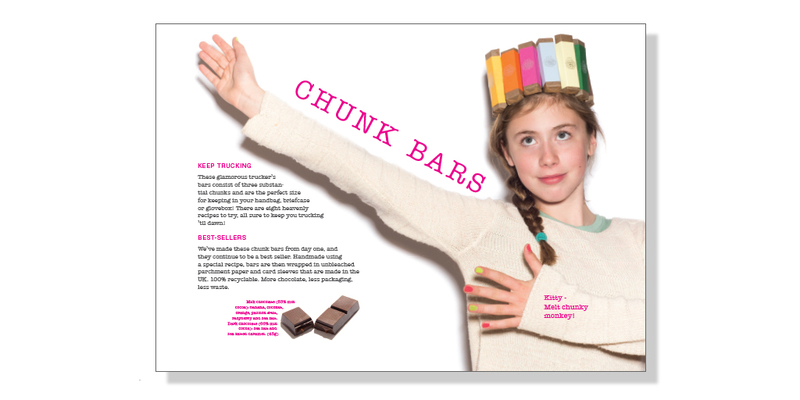 Special retouching, quirky copywriting and fun design, all reflect the personality of the brand.